I hate it when I get so busy spending time with my family that I neglect to write about what is going on. We're just coming out of one of those times. We've had boat-loads going on. And there never seems to be enough time to tell everyone about it. 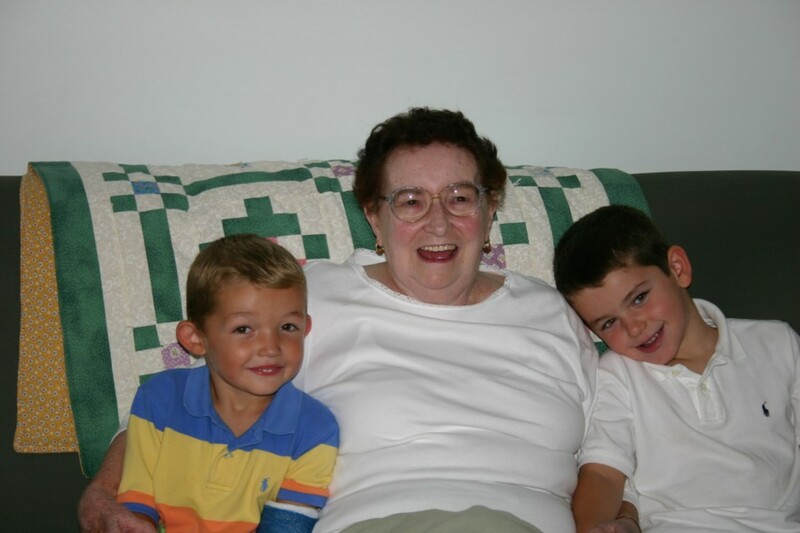 The picture above is Grandma Needham and the two boys. You can't really tell in that picture, but Cody broke his arm. (Here is Mrs. Scott signing his cast.) It was a minor break and the cast is already off. While the cast was on, it scarcely stopped Cody from his daily routine - he still rode his bike, he stillplayed with friends, and enjoyed regular sweets. One might say he really enjoyed them. Bailey, meanwhile, started kindergarten last month, as we already talked about. He's doing wonderfully there. He has also mastered the fine art of the two-wheeled bike. It will most likely surprise nobody that Bailey, also, enjoys his sweets. Everyone else here is doing great. The weather has remained warm, at least on weekends, so we've kept the pool open and used it when we can, on weekend days. Today was actually in the 80's here so we had the pool open today. Next weekend, though, that will end, and we'll close the pool for the winter. We hope everyone's fall has been happy and healthy.